A victims’ group has condemned an attack on a memorial stone for a dead UDR man, a mere two weeks after it was erected. Images show the stone bearing cracks from an impact mark; damage which was spotted by a relative late on Saturday night. The stone stands on Ballymoyer Road in the Whitecross area of rural Co Armagh, close to where David John Bell had lived before he was killed by the IRA on November 6, 1975. 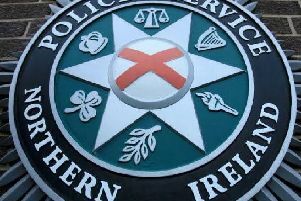 Victims’ group Families Acting for Innocent Relatives issued a statement reading: “Yet again another sectarian hate crime attack against the Protestant community in south Armagh. “Johnny Bell was a well respected member of the community who went out to defend his country and indeed his community both Catholic and Protestant. Mr Bell was 57 and worked as a plasterer. The book Lost Lives records that he had been returning home from his civilian job when a gunman emerged from behind a tree and raked his car with bullets. It adds that just 10 weeks earlier his brother-in-law Robert Frazer (the father of loyalist campaigner Willie Frazer, and also a part-time UDR man) had died in a similar ambush nearby. The south Armagh IRA said he was killed because he was “part of the British war machine”. Danny Kennedy, UUP MLA for Newry and Armagh called the attack an “act of wanton vandalism”, and pledged that the memorial will be repaired. William Irwin, DUP MLA for the same area, dubbed it “a really callous act” carried out by “shameful individuals”.